Ep. 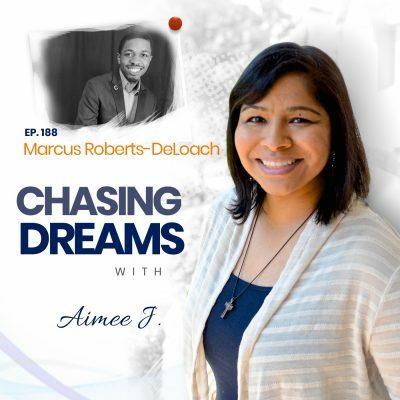 71: Tiffany Southerland – Channeling her Talent as a Change Agent for Others to Embrace Their Potential | Aimee J.
Tiffany F. Southerland is a lawyer by training and change agent at heart. She is the founder of Four Corners Coaching, where she works with students and rising professionals on owning their stories, understanding their strengths, and leveraging life experiences as they pursue more fulfilling careers and lives. Tiffany is also the host of “How Does She Do It?,” a podcast dedicated to sharing practical insight and honest perspectives on adulting and being grown. She has been a TEDx speaker and has served as a panelist, moderator, and keynote presenter for various groups and organizations. Tiffany writes, speaks, and coaches on topics including professional development, career transitions, overcoming trauma, and balancing personal values and career goals. Have you ever met someone remarkably confident in who they are? Aimee met someone that fits that bill. Her guest on this episode is Tiffany F. Southerland and she describes herself as a “Change agent at heart.” At the center of Tiffany’s personal narrative is a love for serving others and helping them discover personal transformation. Tiffany started her professional career in law. Then, after embarking on her own journey of personal discovery and transformation, she changed careers. Tiffany currently works as a career coach, chasing her passion to help others. Don’t miss this inspiring episode of Chasing Dreams to hear more of Tiffany’s story! Do you ever feel like you are living in two different worlds? Work life and home life? Tiffany F. Southerland felt the divide between these two worlds for a long time. She discovered the first step towards living an integrated life is owning your story. She encourages the people she coaches to get rid of the “Compartmentalized life” mindset. Sometimes making this transition to an integrated life is messy and scary. After having embarked on her own journey, Tiffany is uniquely positioned to help others. 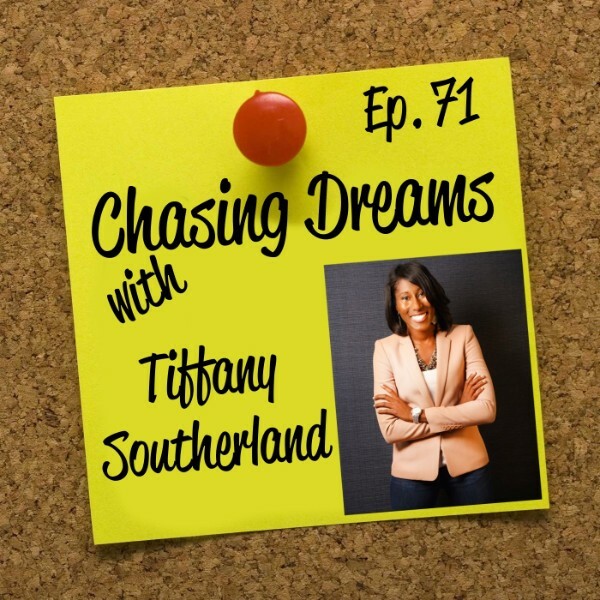 Listen to Tiffany’s helpful insight on this episode of Chasing Dreams! When you meet someone new, what is one of the first questions you ask them? Usually, it's “What do you do?” This is your way of sizing someone up, categorizing them, defining them. If you are honest with yourself, you label the person in the mirror too. Tiffany F. Southerland realized that this method of labeling isn’t helpful. If your identity rests in what you do or where you work, what happens if that ends? Tiffany encourages people she coaches to find other means of personal identity. 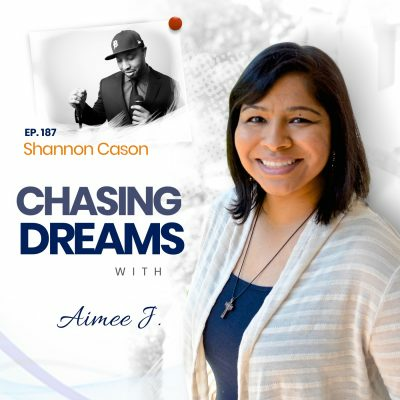 To hear how you can start that journey, make sure to catch this episode of Chasing Dreams! What does a well rounded life look like? After years through law school and an early career as an attorney, Tiffany F. Southerland started to chase a dream. After developing the skills she needed on her own journey, Tiffany identified these four areas of focus. Tiffany teaches the necessity of tending to all four areas with focus and intentionality. When one area is “off” or unattended, it can have ripple effects into the other three areas. Tiffany is passionate about helping others discover the harmony she has learned through careful self examination. Hear more from Tiffany the awesome work she is doing on this episode of Chasing Dreams! [1:06] Aimee’s introduction to this episode with Tiffany F. Southerland. [21:15] Reflecting on successes and challenges. [34:27] What else is coming from Tiffany? [37:23] What does Tiffany do for fun? [42:32] Tiffany’s advice for those who want to chase their dreams. Think about what really matters to you. Is it Money? Personal time? Flexibility? Once you’ve identified what that is, work backwards from there. Do an assessment. Start with the end in mind. Then figure out what adjustments you need to make to reach what matters most to you.